These leaves were laying there for me find. The composition was perfect, dropped from the tree in patterns inside of patterns, the color amazing, all I had to do was receive. What a beautiful fall we have had here in Alaska. It is not every year we get 6 weeks of true fall but we got it and more this year. The first snow on the mountain has melted off and the sun has been gloriously shining. I have enjoyed it immensely. 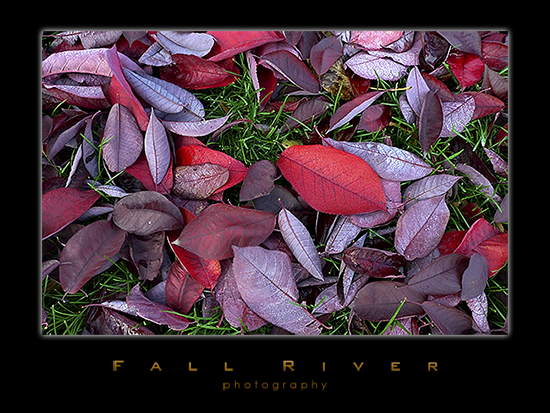 This entry was posted on Saturday, October 17th, 2009 at 6:57 am	and is filed under Alaska and tagged with Fall, fall in alaska, fall river photography, falling leaves, fine art photograph, leaves. You can follow any responses to this entry through the RSS 2.0 feed.